Since Spanish speakers think in Spanish, they are more likely to understand, remember and respond to a website using Spanish Language Domain Names (Spanish Domain Names) than an English one. Also, it is much more likely they will revisit your website in greater numbers and spread the word to other Spanish speakers about your website. When creating new Spanish Language Websites, using Spanish Language Domain Names (Spanish Domain Names) are a powerful way to add pull for the Spanish speaker. Because the native Spanish speaker thinks in Spanish, he/she is more likely to remember your website and refer other Spanish speakers to it. Most Spanish speakers do not spell or pronounce English well. English language domain names will not grab their attention like Spanish language domain names. You can use Spanish Domain Names simply to redirect intuitive online traffic to your principal website even if it is not a Bilingual Website Design or Spanish Language Website. Spanish speakers who type your Spanish Domain Names into their Internet browser will be directed to whichever website you want them to visit. Spanish Language Domain Names can be branded just like English ones. If you want to broadly market to the Latino/Hispanic community, think about securing a Spanish Language Domain Name which you can brand. Just like English language domains, Spanish language domain names can be used in offline marketing and advertising strategies- TV, radio, print, billboards, etc. 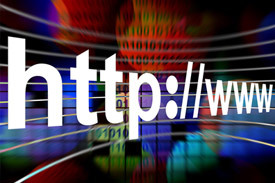 We can help you acquire quality Spanish language domain names. We have been securing strategic domain names for our clients since 1999; helping their businesses grow. Our track record of securing descriptive, intuitive and memorable domain names, along with our keen understanding of the value of a good domain name, can serve you as you expand your marketing strategies.